Summer is here and in full swing! I encourage everyone to take advantage of the wonderful events and opportunities in New Orleans, whether it is a family get-together, a picnic in one of our beautiful parks or one of the many exciting festivals taking place. In the past several months, District "C" has seen many improvements and there is much more to come. I look forward to working with the residents and business owners of District "C" along with other City officials to continue to bring about change and improvement in our district! Throughout District "C," there are many improvements being made. In Algiers, plans are in place for the renovation of many of its parks and the construction of the New Orleans Fire Department Engine 33 & 40 and the New Orleans Police Department Fourth District is underway. The project is expected to be completed October 16, 2017 and cost $182,609. At Behrman Park, the bald eagles' nest is very active. The City has installed temporary fencing around the perimeter of the nest to keep the eagles safe. As a result, the proposed soccer stadium cannot be constructed at Behrman Park and will be relocated to Brechtel Park. Construction plans for the proposed soccer stadium are still being developed and reviewed to accommodate Brechtel Park and keep the project within its current budget. Currently the estimated cost of the stadium is $13 million, $3 million above the current budget. Plans for Bodenger Playground are being developed to include fence repairs, backstop upgrades and a renovation of the park's concession stand. The basketball standards and playground field will also be re-graded. These improvements will cost $471,000 and are expected to be completed in April 2016. Major improvements are in place for Norman Playground. A multi-purpose facility that consolidates a community room, restrooms, concessions area, sports equipment storage, park equipment storage and office space will be constructed. Additions to the playground include a volleyball and tennis court. There will also be a new, lighted walking path at the perimeter of the multipurpose field. In Treme, the Municipal Auditorium is being abated of asbestos, and remediated of lead based paint and mold. The cost of this project is $3,362,877 and is expected to be completed in July 2015. 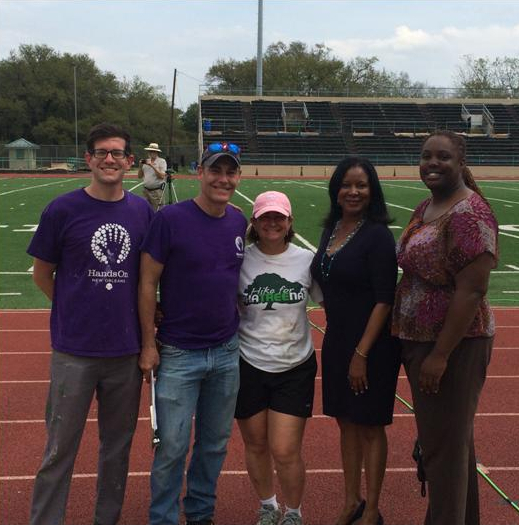 The Treme Community Center is now open and running. The cost of this project was $5,967,548. The Bywater will soon see the replacement of New Orleans Fire Department Engines 24 & 8 with a new centrally located station. This project is currently in the pre-design phase and designs for the new station are expected to be completed in Summer 2015. The Stallings St. Claude Community Center, which will include a new basketball court and multi-purpose rooms for dance, music and other activities is expected to be completed this summer. There are also major renovations being made to the pool and its restrooms, locker rooms, and showers. The estimated cost for this project is $8,011,053. In the French Quarter, plans are underway to repair and renovate Jackson Square's park components such as, benches, fence, plumbing, irrigation, and electrical wiring for the Tri-Centennial Celebration in 2018. The project will cost an estimated $1,775,613 and is expect to be completed in August 2016. Economic Development in District "C"
The economic engine that is District "C" is moving faster than ever. Recently, I attended the International Conference of Shopping Centers (ICSC), to meet with retail developers and vendors from across the country to promote business in District "C". We looked at opportunities for development in Algiers, blighted sites along General DeGaulle and the area surrounding Brechtel Park. All in all, the trip was a success! I'd like to thank the administration, the Downtown Development District and the Business Alliance for assisting my staff and me in finding vendors that would be the most beneficial to District "C". Meanwhile, festival season in New Orleans is in full swing. 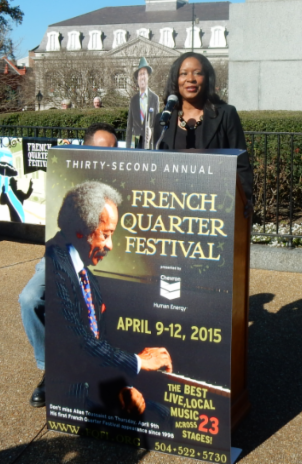 The French Quarter Festival was a huge success and attracted larger crowds than ever. Other festivals including the Oyster Festival, Festigals and the Creole Tomato Festival were also successful. 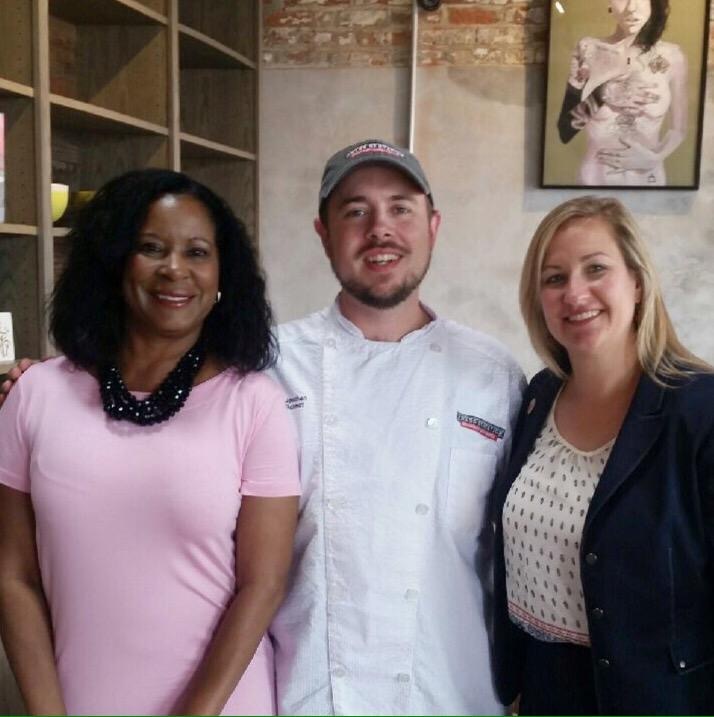 In April, the St. Roch Market opened to rave reviews. The beautifully restored historic market is now selling more than seafood. It also features local fair such as produce, sundries and prepared foods from an eclectic collection of local chefs and farmers. I believe we can affect positive change in the community by educating and empowering our youth. I would like to see all of our young people develop the skills necessary to become productive citizens. This task has many different facets including education, work force development, and conflict resolution. Liberty's Kitchen, a non-profit organization that helps young people access futures that are healthy and sustainable, enabling them to achieve personal and economic independence in adulthood. I am hosting the 2nd Youth Empowerment Seminar followed by a job fair on Friday, October 2nd 2015 at Landry-Walker high school. We are expecting more than 1000 Algiers area high school students to attend. Guest speakers will address the students on the importance of education, crime prevention, respect for their community, and other social and economic issues our children are faced with. A job fair will follow. We have received commitments from Dr. Silas Lee, our Independent Police Monitor, Ms. Susan Hutson, and the National Organization of Black Law Enforcement. The purpose of this event is to reinforce a good work ethic and sense of pride in our youth. Many businesses are participating in the job fair, helping us to reach our goal of placing young people in the workforce. I also hosted a Know Your Rights event at the Treme Center that was a huge success and plan to do more. In the last few months there have been significant legislative changes that will benefit District "C". I spearheaded the introduction and passage of multiple legislative instruments to create the French Quarter Economic Development District (FQEDD). On October 24th, voters in the French Quarter will be asked to cast their ballots in favor of an additional of 0.249% incremental sales tax increase within the boundaries of the FQEDD. These revenues will be used to fund economic development projects and a long-term contingent of Louisiana State Police troopers to patrol the French Quarter. It is estimated that a quarter cent sales tax within the district boundaries would generate approximately $2 million annually. The Council, the Mayor and a broad coalition of residents and business owners support the FQEDD, and I encourage all voters to support this measure to enhance public safety and security in the French Quarter. Of all the legislative matters that have come before the City Council in the past several months, none has been bigger than the adoption of the new Comprehensive Zoning Ordinance (CZO). Development of a CZO consistent with the Master Plan started after Hurricane Katrina. The Council proposed over 65 amendments to the CZO, 17 of which I sponsored. I would like to thank everyone who provided input and helped to shape the new CZO. 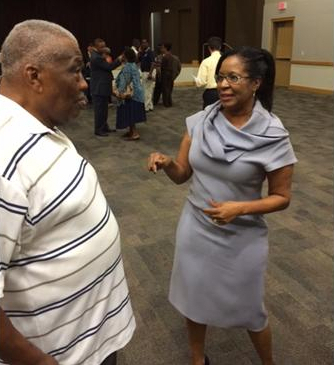 The City Council held numerous public meetings as a whole and I met personally with individuals, neighborhood associations and other various groups of concerned citizens. My office received hundreds of phone calls, emails and letters concerning everything from height requirements along the riverfront to zoning changes for various parcels of land. It was wonderful to see real public engagement! Without public participation, we would not have been able to create a fair plan that reflects citizens' interests. Recently, I introduced an ordinance to prohibit vehicles over thirty-six feet from entering the French Quarter without a special permit. The proposed ordinance will help to protect public and private property from damage caused by large vehicles that are unable to turn on our historic streets. I have also introduced an ordinance to provide for better noise abatement techniques in the French Quarter. Additionally, the Council has passed legislation to bring ride-sharing technology to New Orleans and reform taxi and limousine regulations and I did not agree with all of the changes, but I will continue to work with my colleagues on the Council and the Administration to implement further reforms that will ensure a level playing field for the for-hire transportation industry. 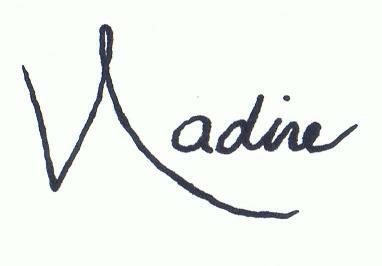 There is still much work to be done. I have pending amendments to the new Comprehensive Zoning Ordinance and many additional requests for changes. I will continue addressing the zoning and land use needs of my constituents as necessary to accommodate the changing needs of the community. There are many other important issues such as unpaid judgments, environmental contamination, education, youth empowerment and job training that I hope to address while in office. I ask for your continued input and support to make this all happen. June marked the beginning of the 2015 Hurricane Season. Although we have the best storm damage reduction system that New Orleans has ever seen, it is imperative to have a plan in place to ensure the safety of you and your family. Make sure each family member knows what to do, who to call, and where to go during an emergency. Please see the planning tips below provided by NOLA Ready. For more information and tips on Hurricane Preparedness, click here. 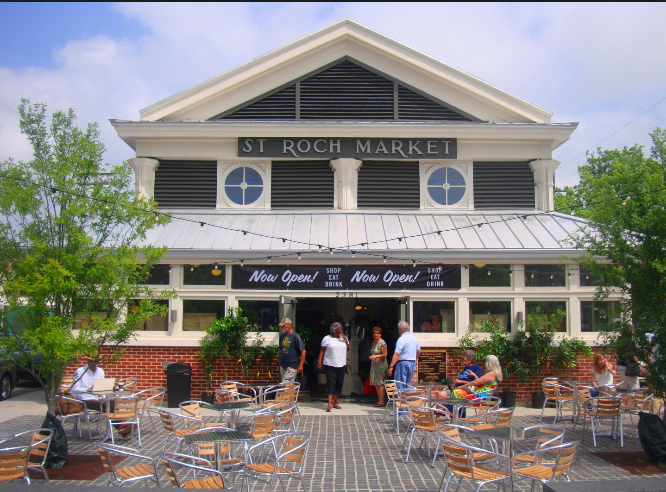 St. Roch Market on St. Claude Avenue in District "C"
The NOLA City Council is the legislative branch of New Orleans City government. 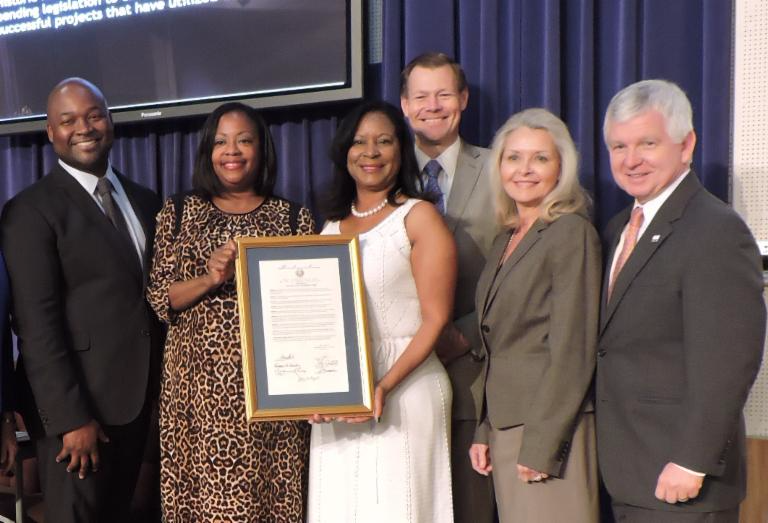 The Council considers and enacts all local laws that govern the City of New Orleans. The Council also approves the operating and capital budgets for the City, as recommended by the mayor, and continually monitors revenues and expenditures for local government operations. The City Council is also the regulatory body for public utilities. It reviews and has final say on many land use and zoning matters, as well as considers major economic development projects for the City. 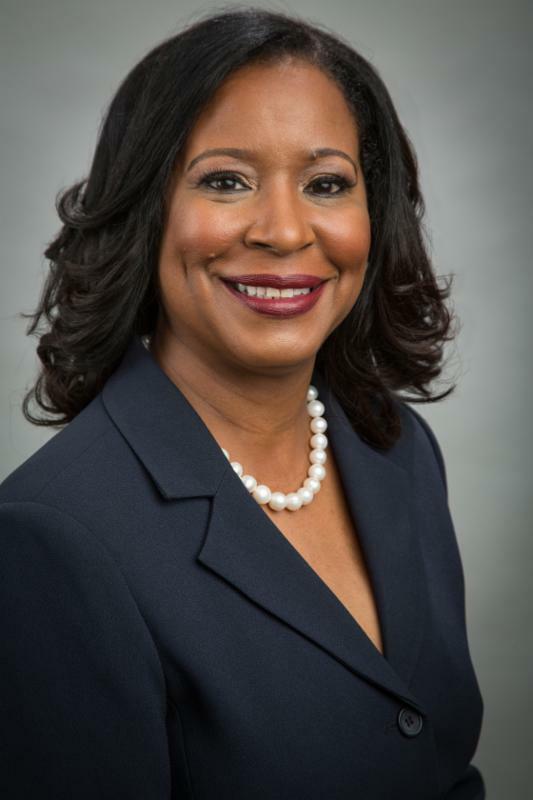 As a Board of Review for Orleans Parish, the Council examines appeals of property tax assessments for real estate taxes, and certifies tax rolls to the Louisiana Tax Commission. Other responsibilities of the Council include overseeing the operation of the public access television in Orleans Parish. Streaming video and video archives of the City Council's Regular and Committee meetings can be found on the City Council website. 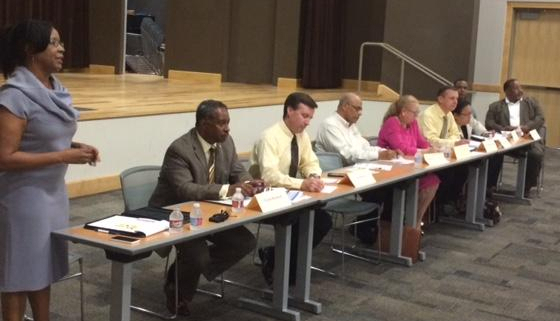 The City Council is comprised of five districts and two councilmembers-at-large. Council President and Councilmember-at-Large Jason R. Williams; Council Vice President and Councilmember-at-Large Stacy Head; District "A" Councilmember Susan G. Guidry; District "B" Councilmember LaToya Cantrell; District "C" Councilmember Nadine M. Ramsey; District "D" Councilmember Jared C. Brossett; and District "E" Councilmember James Austin Gray II.